Ultimately, the marketplace will be defined as regulators decide, with input from special interest groups -- large distributors like pharmacies and liquor control boards, the Canadian Medical Association, the Canadian Pharmacists Association etc. -- that have influence in helping to shape the law in their desired direction. Anthony Wile Active advisor/investor, business strategist, consultant, markets commentator, author/publisher, CEO of Wile Group Ltd.
Today's Canadian cannabis industry is extremely confused. The Trudeau Government is in the midst of constructing regulations to be rolled out next year for recreational -- or, more accurately, adult non-medicinal purpose -- cannabis. In the current legal grey zone, corner stores calling themselves dispensaries have sprung up seemingly everywhere, dispensing "medicinal cannabis" and advice to adult "patients," as if they're actually trained and authorized to do so, under the auspices that Canadians have a right to access that is not being sufficiently fulfilled by licensed producers. In a nutshell, all cannabis industry stakeholders are experiencing a great deal of uncertainty as to exactly what the future Canadian cannabis production and distribution marketplace will look like. One thing is very clear, however, even in this muddled construction zone: Ultimately, the marketplace will be defined as regulators decide, with input from special interest groups -- large distributors like pharmacies and liquor control boards, the Canadian Medical Association, the Canadian Pharmacists Association etc. -- that have influence in helping to shape the law in their desired direction. Let's face it -- that's just how this works. Early in this process of drawing up the blueprint for regulatory remodel, the federal government appointed the Task Force on Marijuana Legalization and Regulation. The Task Force began by soliciting input from Canadian stakeholders, including consumers, producers, community groups and agencies, physicians, pharmacists and others. The 30,000 submissions received are now being considered, according to Task Force leader Anne McLellan, as final recommendations are prepared, which must be submitted by November 30. 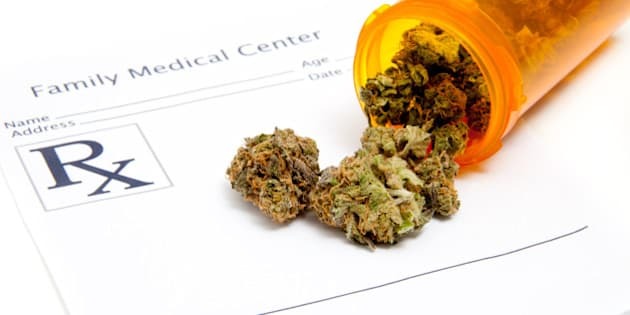 We've all read that large pharmacy chains are interested in dispensing medicinal cannabis products, which seems to make a lot of sense considering they have more experience than anyone in dealing with regulated drugs. Distribution through pharmacies would tend to ensure that a certain level of maturity will exist in the ways these products are marketed, stored, dispensed and displayed so that Canadians -- and our children -- are not faced with cannabis signage and marketing, considered offensive to many, as we go about our daily lives. Even the Canadian Pharmacy Association has stated it would be interested in supporting the dispensing of Canadian medicinal cannabis products, and argues pharmacists are uniquely trained and equipped to do so. The problem is this: Large pharmacy chains can choose to dispense "medicinal" cannabis products to Canadian consumers, but if the formal medical community is not willing to sign use of cannabis authorization forms then likely the shelves will have very little turnover -- meaning there will be very low revenue potential either for the pharmacy chain operators or for the Canadian government, in the form of taxation revenues. At this point in time, the CMA, which represents the licensed medical doctor community in Canada -- the only group of physicians currently authorized to recommend cannabis for medical purposes -- has made it very clear that they do not endorse their member physicians recommending cannabis products as an alternative to pharmacological products approved by Health Canada, which in turn maintains the position that cannabis "is not an approved therapeutic product." The existing structure that governs how drugs become approved, whether by Health Canada, the FDA, the EMA or other national agencies, applies to cannabis, like anything else. Approval of cannabis as medicine will be a long and arduous path, to be sure, but that designation will ensure that whatever drugs are on the shelves of pharmacy chains have gone through the required regulatory wickets. And standing on the other side of those regulatory agencies is Big Pharma. We all know that the pharmaceutical industry does not support the medical community recommending wellness and relief products that lack formal testing and will not grant such support unless the "drugs" have gone through approved clinical trials and received regulatory approvals. Thus, we're back to the reality of where the marketplace is today. And in reality, anecdotal evidence of success in treating various conditions with cannabis does not suffice as the necessary evidence for the formal medical community to accept use of the cannabis plant as a wholesale solution for treating patients with conditions like cancer or epilepsy. Without the development of specific formulations that have been officially tested for efficacy, product safety, and the other myriad considerations necessary to be certified as safe for human consumption and effective, cannabis remains a wellness and relief product -- not a "medicine." Big Pharma's drugs will thus continue to occupy pharmacy shelf space, as they always have. And they will likely maintain that space even in a cannabis formulated drug world several years from now, should such drug development actually be successful. So the fundamental question is this: In a Canadian "medicinal" marketplace -- one in which categorical indications and subjective studies have shown that cannabis can be a valuable alternative wellness and relief product of benefit for many different conditions -- who is really well-positioned, philosophically and otherwise, to provide Health Canada's required "medical document" granting a patient authorization to use cannabis? The only reasonable solution for this component of the Canadian marketplace is that the power to authorize the use of cannabis products additionally be granted to "alternative medicine" providers such as naturopaths and homeopaths in order to provide Canadians with broad access to medical cannabis products. Various non-CMA physicians, who routinely utilize many different plant-based remedies, have large, established patient bases that rely upon these kinds of "non-drug" treatments. They really are our only hope of having a regulated channel through which cannabis products can reach some form of critical market development for those seeking natural plant wellness and relief solutions. Today, cannabis is not medicine in the formal sense of the word. Tomorrow that may and likely will change with various formulations having been tested and regulated like GW Pharmaceuticals' Sativex, one of the very few examples of a cannabis drug that's come through that development process. But today, cannabis is a wellness and relief marketplace, and medical doctors, the traditional frontline marketplace, will not embrace on a large scale the use of cannabis as a means of treating patients' problems. If the Canadian government wants to control access to cannabis for medicinal purposes through large channel distributors such as pharmacies, that's a great way to facilitate reasonable access and to ensure quasi-medicinal cannabis advertising will not appear on every street corner. But to ensure that the products are able to be fully accessed by Canadians seeking to use them for categorical relief and wellness purposes, federal, provincial and professional agencies must empower the naturopathic, homeopathic and other alternative medical communities -- which are also generally recognized as fully licensed medical professionals -- to be able to authorize the use of cannabis products.